The Donald Home of the Make a Free Printable Resume! The Donald Trump; You're Hired! Your ears hear, you're fired. Yet Trump (aka Resume Helper Trump), is in the 'Hiring Business' versus the Firing Business. His Hit Television show, THE APPRENTICE, gave me more job interview tips than I had learned with my Masters Degree studies at my University Alma Mata (UMHB). SUCCESS Magazine recently featured The-Donald as their featured cover story. SUCCESS coined Trump, "Fortune Through Focus." 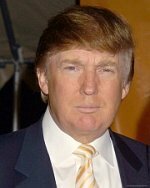 Many of us were introduced to The-Donald through his hit television show, The Apprentice (aka "You're Fired!"). Donald Trump is not, simply, Donald Trump. Donald Trump name is a trademark. The 'Business of Trump,' includes real estate (condominiums and hotel casinos), golf courses, retail items and commodities (beverage and clothing), and an education enterprise. What does Donald have in common with Resume Writing? Hear this: EVERYTHING! But again, I get it...Billionaires don't need a resume; and, if you had his money, you wouldn't be reading this webpage or looking for interview tips. 1st, Work on Your Self-Development. 2nd, Learn to Think like Millionaire$$. Lastly, Learn to Manage Your Time! UPDATE: Donald J. Trump ran for president of the U.S.A. back in the year 2016. Against insurmountable odds, Mr. Trump pulled out an Electoral College victory. 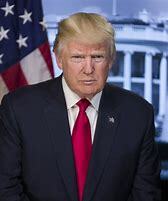 "The Donald" is the sitting 45th President of the United States of America. Say what you may, The-Donald is an anomaly! T. Harv Eker, Founder of Peak Potentials and Millionaire Mind Intensive, teaches, "Don't Think...Don't think...don't think." Eker preaches this mantra because we cannot move ourselves into the realm of financial wealth with our present level of thought. Millionaires don't think as You and I do; nor do BILLIONAIRES, No, I'm not suggesting that you and I are children of a lesser god, but that the "Billionaire Mind" is wired beyond the pall.